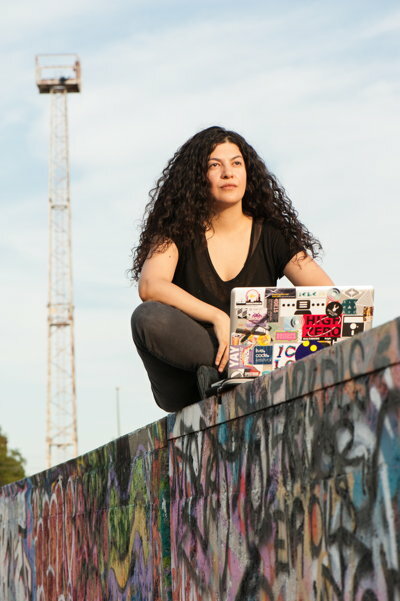 Composer, programmer and improviser of music, Alexandra Cárdenas has followed a path from Western classical composition to improvisation and live electronics. Using open source software like Super Collider and Tidal, her work is focused on the exploration of the musicality of code and the algorithmic behaviour of music. An important part of this exploration consists of the practice of live coding, including performances at the forefront of the Algorave scene. Currently she lives in Berlin, Germany and is doing her masters in Sound Studies at the Berlin University of the Arts. Samples of her work are on her YouTube channel.